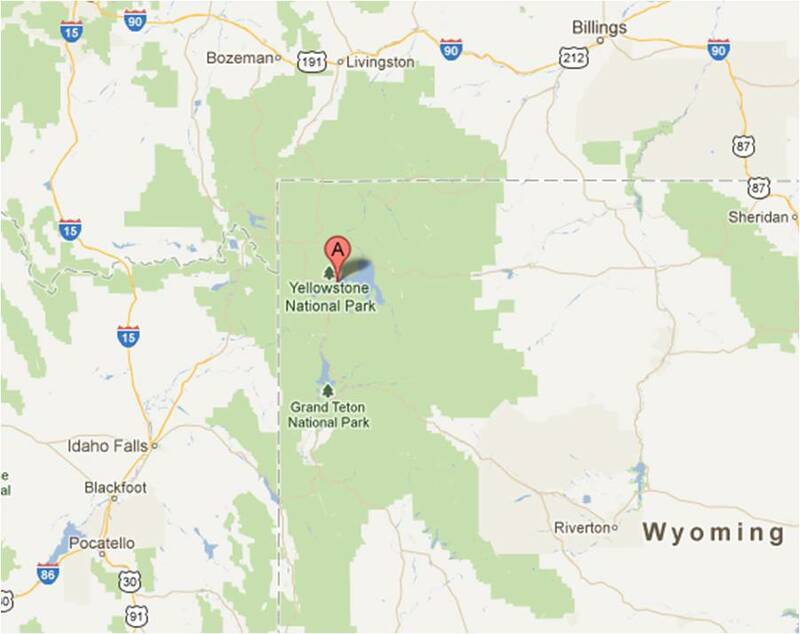 We had our shortest drive between stops when we moved from Grand Teton National Park to Yellowstone National Park. We took our time packing up, went out breakfast before we left, and still arrived in time for lunch! We checked in at Grant Village and went over to the Visitor Center and Backcountry Office to get detailed information on hiking trails and local Ranger-led programs so we could make our plans. We started by attending a Ranger campfire program about the history of bison in Yellowstone and the people that were instrumental in saving and increasing the bison herd. It was at this program that we discovered that for the first five years of the park’s history Yellowstone was operated and patrolled by the U.S. Army. President Grant created the first National Park at Yellowstone in 1871, but Congress did not appropriate any funding for the park. Finally, the Secretary of the Interior requested help from the War Department, who responded by stationing Cavalry troops in Yellowstone. Mammoth Hot Springs is the village closest to the North Entrance. 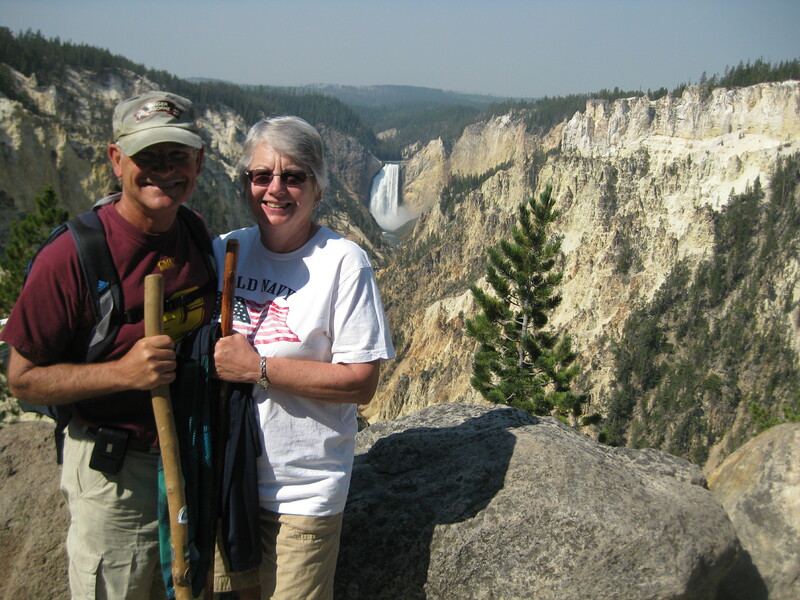 On our way there we stopped to see Gibbon Falls and the Mammoth Hot Springs Terraces. 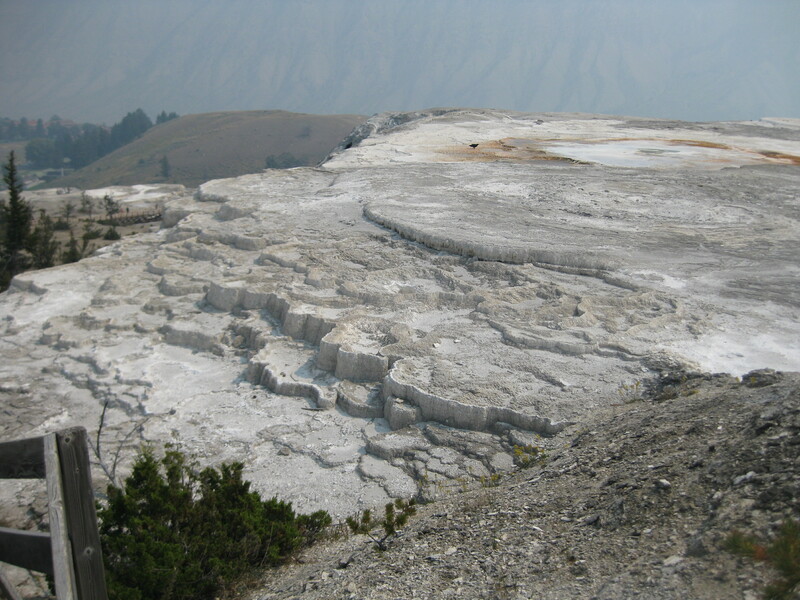 The travertine formations of the terraces remind one of layer cakes and lace-edged pools. 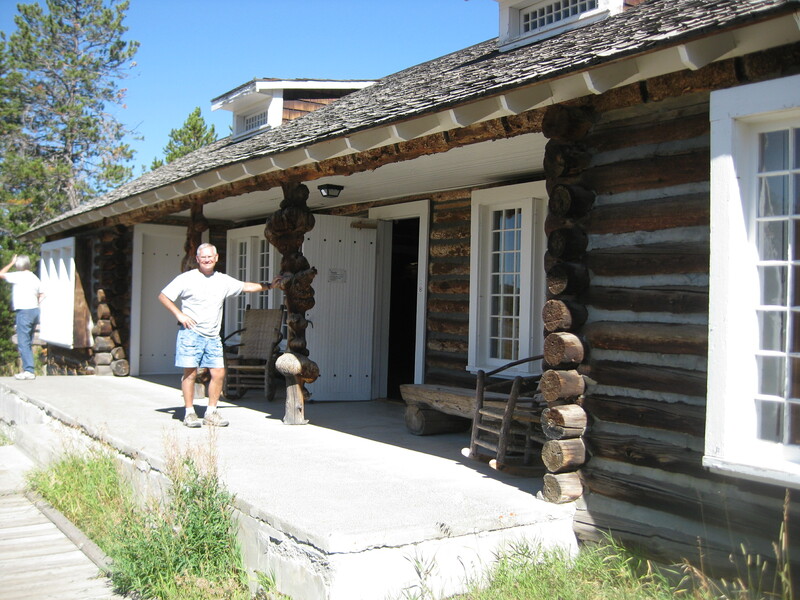 The largest facility at Mammoth Hot Springs is Fort Yellowstone. 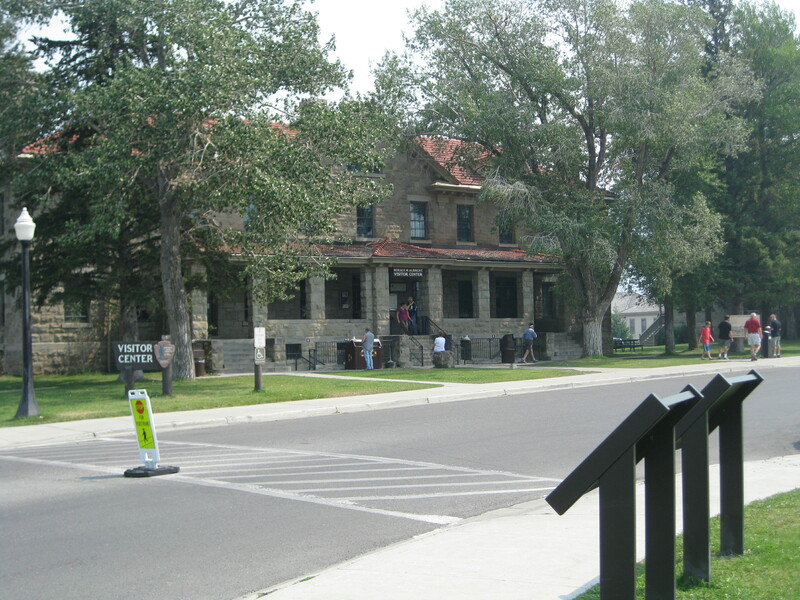 This was the headquarters for the Army when they ran the park from 1886 until 1916, and is now the National Park Service headquarters. The old barracks, officer quarters, and stables are still in place and a self-guided walking tour is available. Bob thought this would have been to be a great place to be stationed, especially if you were an outdoorsman – getting paid to enjoy the outdoors. Of course the park had to be patrolled in winter as well as summer and with an annual snowfall of 750 inches, it was a challenge to do this on skis and horseback. 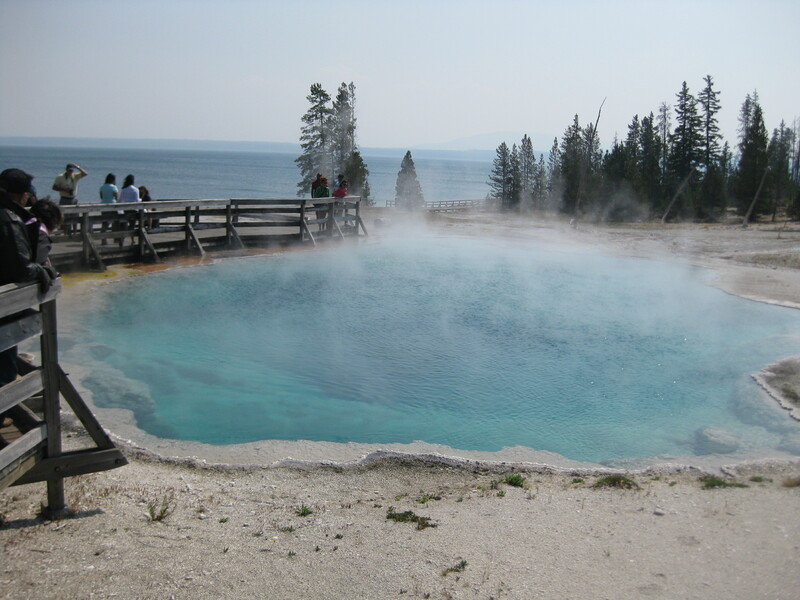 An attraction that the National Park Service doesn’t advertise is the Boiling River. 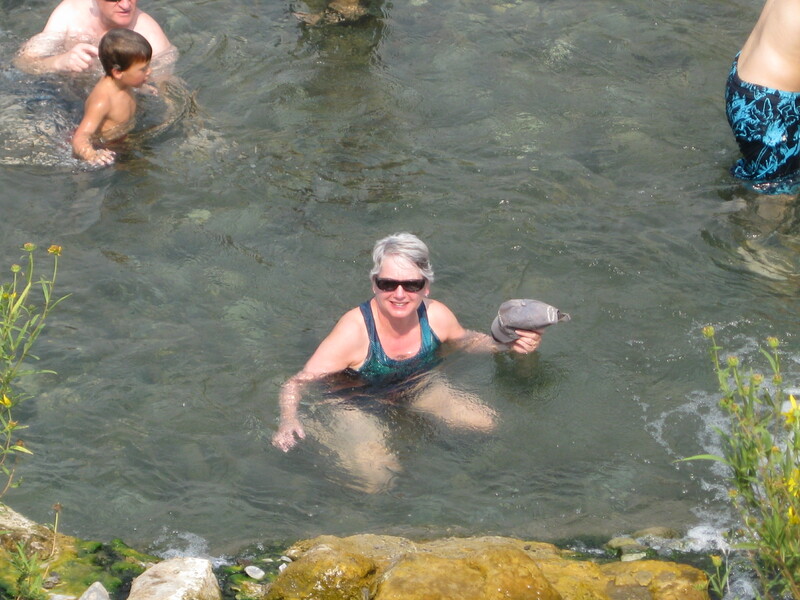 Between the North Entrance and Mammoth Hot Springs Village the Boiling River flows into the Gardiner River. At the point where they merge you can soak in nature’s hot tub. This was high on Pat’s list of places to see. The high temperature thermal water mixes with the normal river water to cool it and create a hot tub effect that won’t burn your skin. 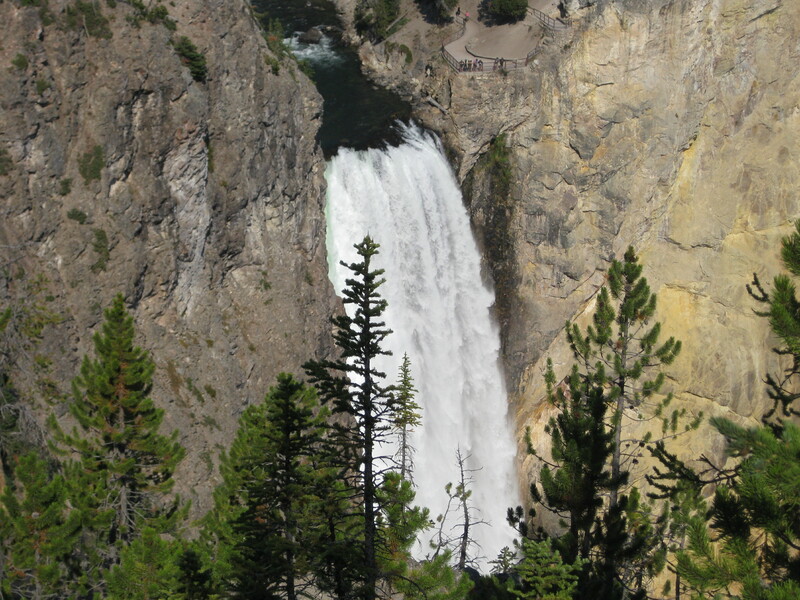 It is a “must experience” part of a Yellowstone visit. On our way back to Grant Village we took time to check out the Petrified Tree and Mount Washburn. There is so much to see, you could stay in Yellowstone for a month and not see it all. 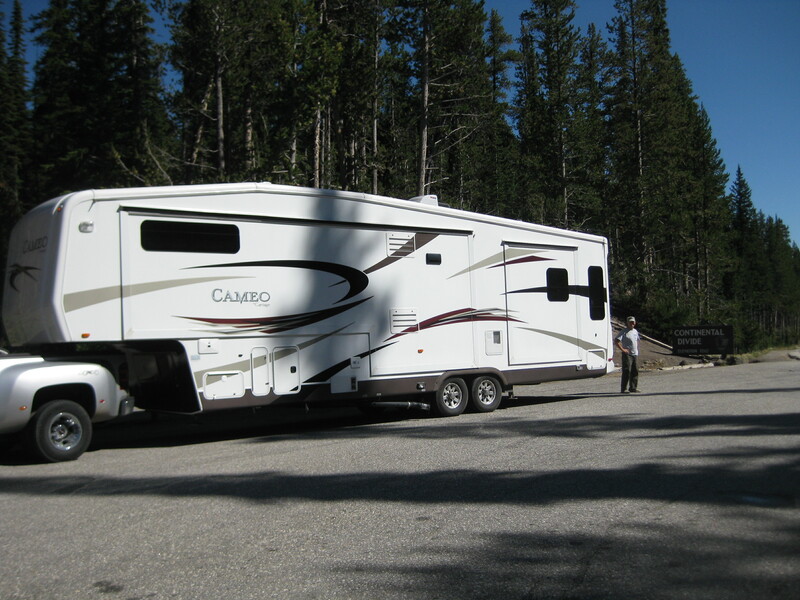 Most of the campgrounds in Yellowstone do not offer electrical hookups and generators may not be run after 8:00. Consequently we had to be back to our campsite by around 7:00 to run the generator enough to charge the battery so it would last through the night. With sites like Mammoth that are as much as an hour to an hour and a half drive away, we had to schedule our activities carefully. The next day we biked over to the West Thumb Geyser Basin for a Ranger-led hike to an overlook of Yellowstone Lake and the West Thumb Geyser Basin. The West Thumb Geyser Basin consists of three distinct groups. 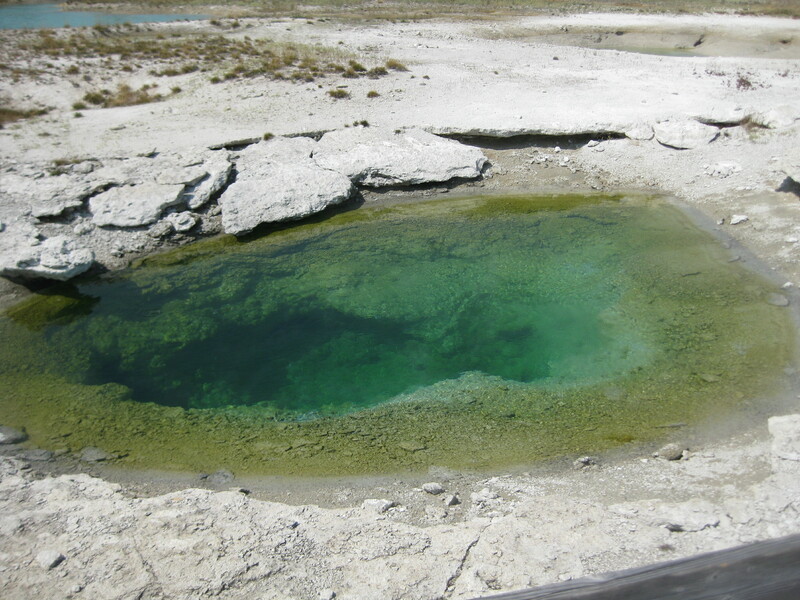 The Potts Hot Spring Basin and the Lake Shore Group are not accessible to the public. The Lower Group is the southernmost section. It is the only group that is open to the public and has an extensive boardwalk system. The thermal areas of Yellowstone are awesome. The color of the water is dramatic. The temperature of the water determines which bacteria can survive in the pool and the bacteria determines the color of the water. Bison and elk, as well as smaller animals are all over the park. 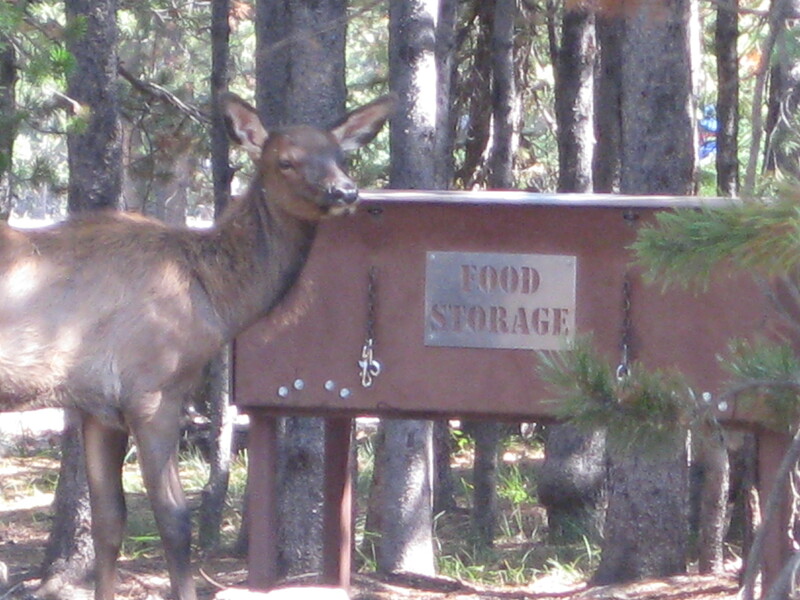 In fact, we had a mother elk and her fawn wander through the campsite right across the road from ours. We thought it was comical to see the fawn standing right next to a metal food storage box that is meant to keep food away from animals! 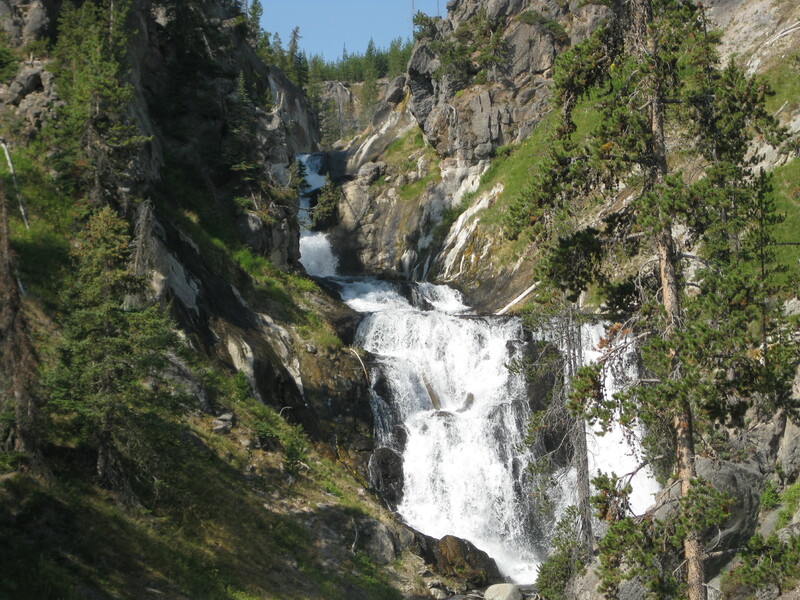 In the north end of the park, the Yellowstone River cuts through the limestone cliffs to create the “Grand Canyon of Yellowstone.” Next to Old Faithful, this is, in our opinion, the best part of Yellowstone. We did a lot of hiking in the Canyon Village area. We hiked along the South Rim to Artist Point, where we listened to a Ranger talk about ospreys and were able to see an osprey nest through her high-powered telescope. With this scope we were able to see the nest as though we were right next to it! From there we hiked along the rim on the Clear Lake/Ribbon Lake Loop. From the rim we turned south into the forest and thermal areas back from the canyon. The contrast from the canyon to forest to thermal area and then into meadow within a three mile stretch was striking. In the early days of the park, local entrepreneurs like “Uncle” Tom Richardson, were the primary guides for the park. For five years commencing in 1898, Uncle Tom led visitors on tours which included crossing the river upstream from the present day Chittenden Bridge, and then following his rough trail to the base of the Lower Falls. The tour was concluded with a picnic and a return trip across the river. 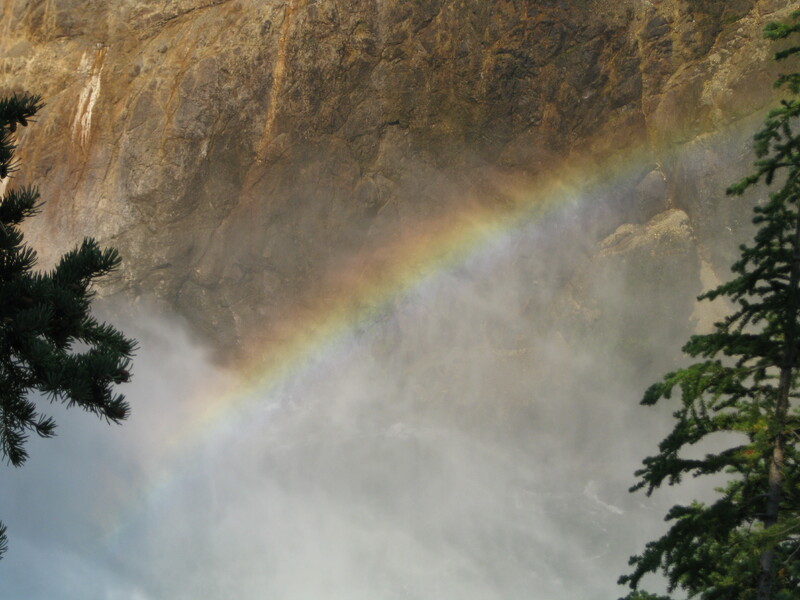 Today the Park Service has replaced Uncle Tom’s Trail with stairs that will allow you to descend about 2/3 of the way to the bottom, giving you a great view of the Lower Falls and the constant rainbow created by the spray of the falls. When the sun is in the right position to shine on the side of the canyon, the colors of the rock strata are highlighted, creating spectacular views. We returned through the Hayden Valley. This valley has more visible wildlife than many other areas of the park. You can see herds of elk, and bison roaming through the valley, often wandering across the road. 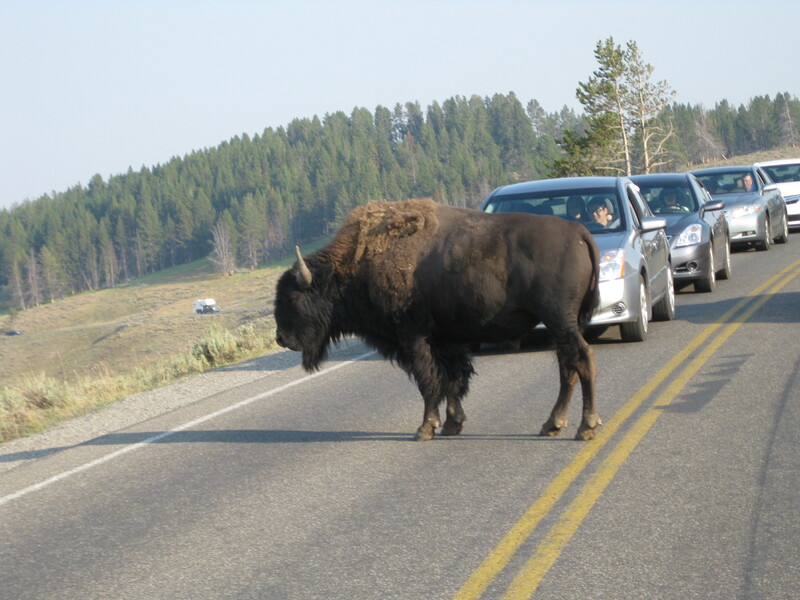 Needless to say the bison always get the right of way. You and your car will always lose the argument. 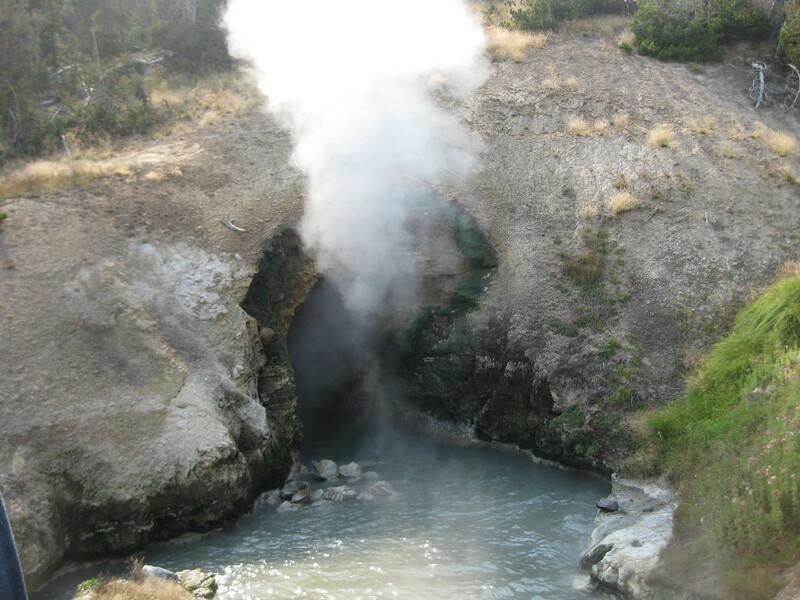 The Mud Volcano Area is very acidic, in contrast with most other hot springs and geysers which are highly alkaline. It is turbulent pools of hot muddy water and the strong smell of hydrogen sulfide gas. Sulphur creates this smell and also gives these mud pots their yellow hues. There are several geysers and springs in this area. One of them, Devil’s Caldron, creates a wave underground that flows through a channel creating a booming sound that sounds like canon fire. Our longest hike was in the Biscuit Basin. We hiked to Mystic Falls on the Little Firehole River and then up to the overlook that allows you to see all the way to Old Faithful. This hike gives you a good appreciation of the effects from the 1988 fire that destroyed much of the park. Many people thought the park was totally destroyed and would have to be replanted to recover. However, the Lodge Pole Pine need fire to release the seeds in their pine cones. As a result to forest regenerated itself. 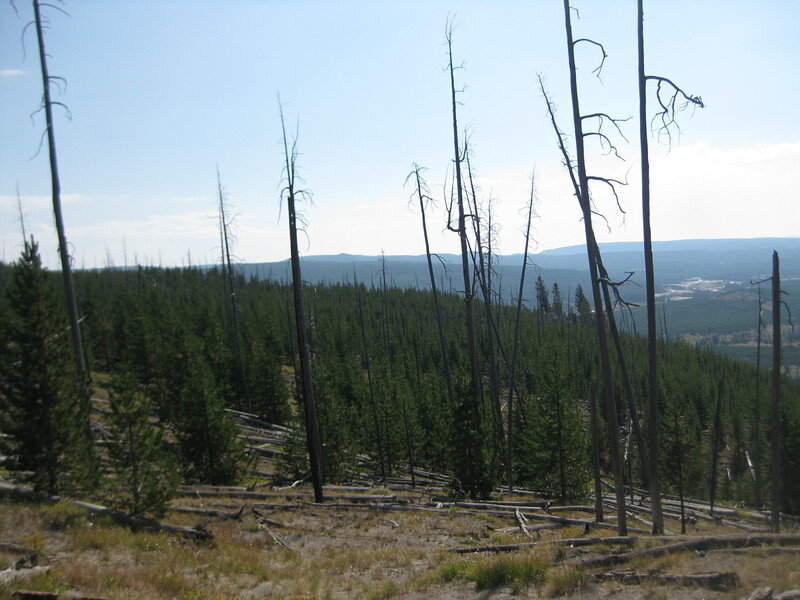 You can now see the regrowth of the forest by comparing the trunks of the burned out forest to the shorter, younger trees that replaced them. You can’t go to Yellowstone without seeing Old Faithful. 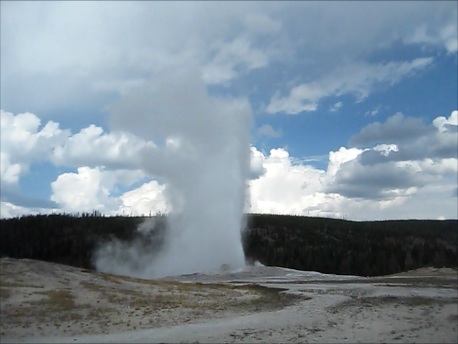 There are bigger geysers in the park and there are geysers that erupt more frequently; but Old Faithful is the most regular geyser in the park. Many people sit and watch Old Faithful erupt and then take off for someplace else, but the geyser basin around Old Faithful has over 30 other geysers and other thermal features. Some of these geysers are regular enough that you can call a phone number and find out the next window of time in which an eruption should occur. The evening campfire programs were always interesting, covering topics like the geology of Yellowstone, grizzly bears, and people who were instrumental in making Yellowstone the park it is today. For kids (and adults who are interested) the Junior Ranger program adds a learning aspect to the fun. We camped in Grant Village for five nights and then crossed the Continental Divide to move to Grizzly RV Park, in the town of West Yellowstone, right outside the West Entrance. This was a nice change of pace to go from no hookups for anything to full hookups of 50 amp electric, water and sewer. Bob was really happy to get TV coverage just in time for the Republican Convention! From West Yellowstone we went to Norris Village and visited the Museum of the National Park Ranger which is housed in a restored Patrol Cabin. These Patrol Cabins were established while the Army was patrolling the park and used as a way station for Cavalry patrols. Today they are still used by Park Service Ranger patrols during the winter months. Norris Geyser Basin is the hottest geyser basin in Yellowstone, and offers the widest range of thermal features of any one place in the park. 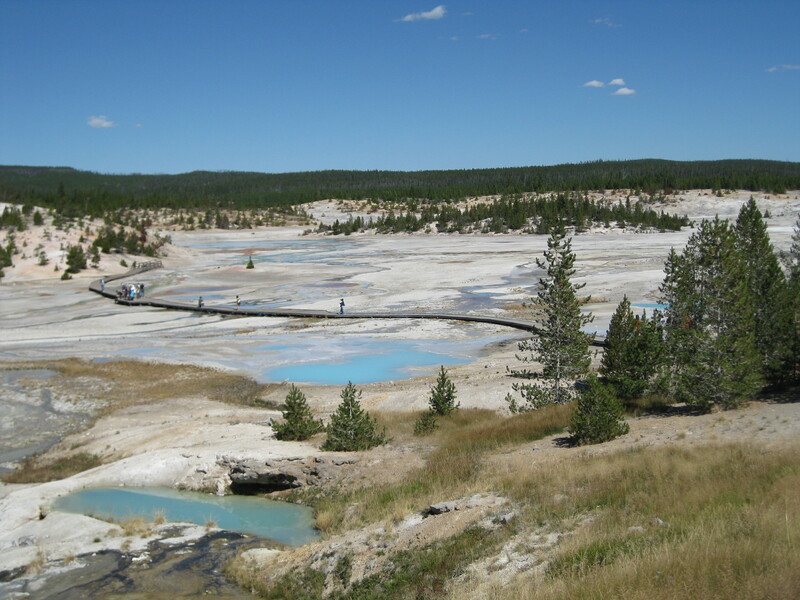 It has mud pots, hot springs, geysers, and paint pots. Midway Geyser Basin is the most colorful of all of the thermal features. 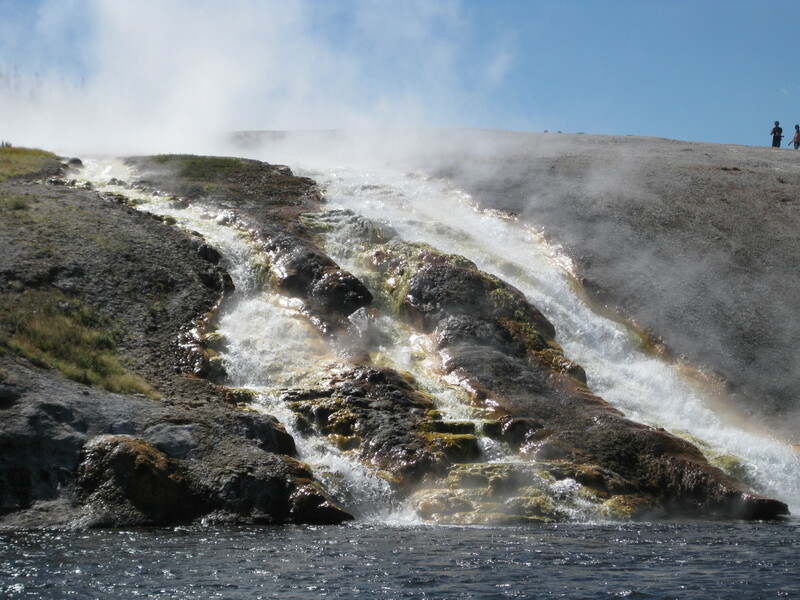 The most spectacular view is where the Excelsior Geyser discharges more than 4,000 gallons a minute into the Firehole River. We spent eight very busy days in the park and could have stayed longer. However, after all of the site-seeing we have been doing since July, we were ready for some relaxing time. On August 30th, we headed south to Hill Air Force Base, near Salt Lake City, UT. This entry was posted in Fulltime RV, Michigan Traveler, National Parks, Wyoming and tagged Boiling River, fifth wheel trailer, First National Park, full-time RV, fulltime RV, Grand Canyon of Yellowstone, Hayden Valley, Mammoth Hot Springs, Midway Geyser Basin, Old Faithful, Ranger-led Hike, RV Forums, West Thumb Geyser Basin, Yellowstone National Park. Bookmark the permalink.